Bravorama was develop for Doubleleft together Click Isobar Brazil. 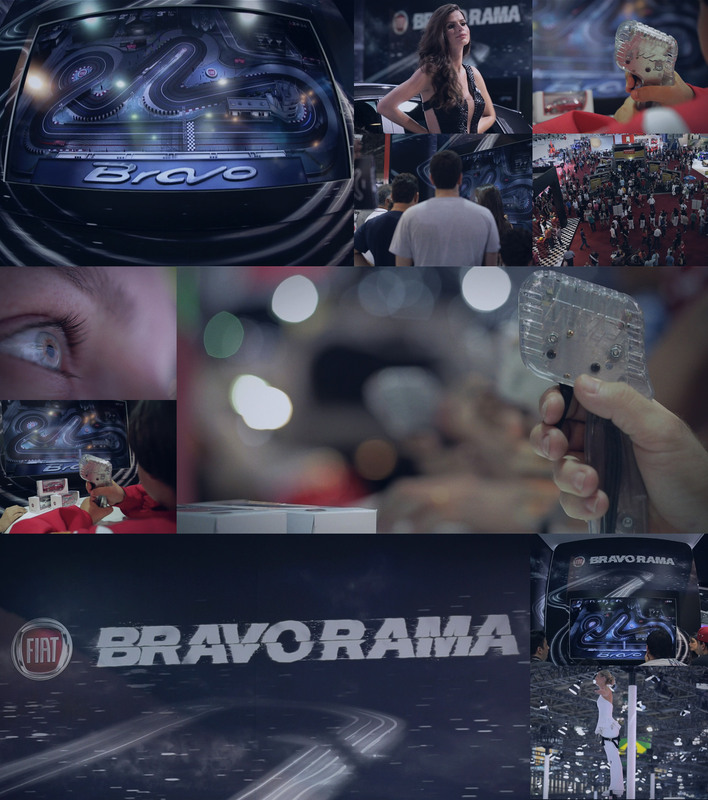 This project is a game for an interactive installation to launch the new Fiat Bravo at São Paulo Automobile Show, one of the biggest automobile event in Latin American, with over 750 thousand in one week. This project is a match between the virtual game and real game, The Car Slot is a famous race game, our challenge was build this match, to play this game physically and to watch this amazing race in a 80-inch screen. Was a awesome on-off experience.